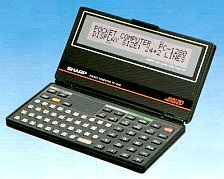 This is a list of many of Sharp Pocket Computers and their accessories that were made starting about 1977. 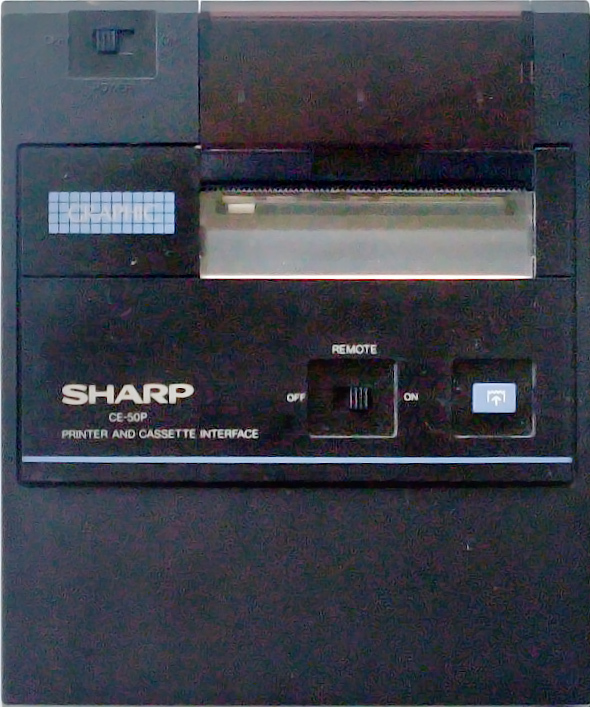 Included is a section on the Cartridge Calculators that preceeded the pocket computers. Please note that we do NOT have these calculators available for sale; they are listed here for historical purposes. The literature and manuals here were published by Sharp Electronics who owns the copyright on them. 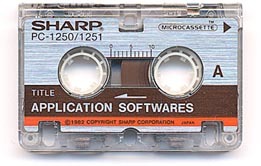 The current version of this page is at sharppocketcomputers.com. 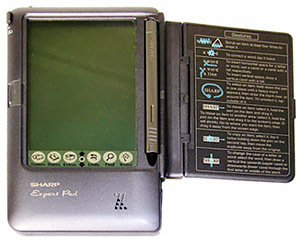 First Sharp Pocket Computers in PC Series. Programmed from keyboard - stored up to 128 program steps in memory. 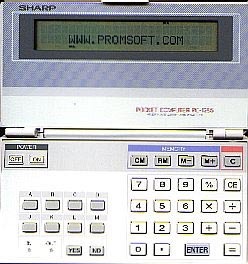 Programmable (from keyboard) calculators similar in appearance to PC-1210. EL-5102 had financial functions, others scientific. 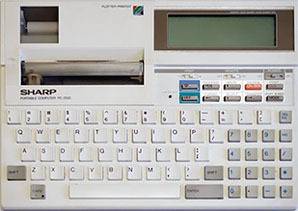 Run-time version with 8 function keys and number pad. Programs developed on PC-1251H. PC-1253/H have extra battery for long-term program storage (YEARS Program Protection). 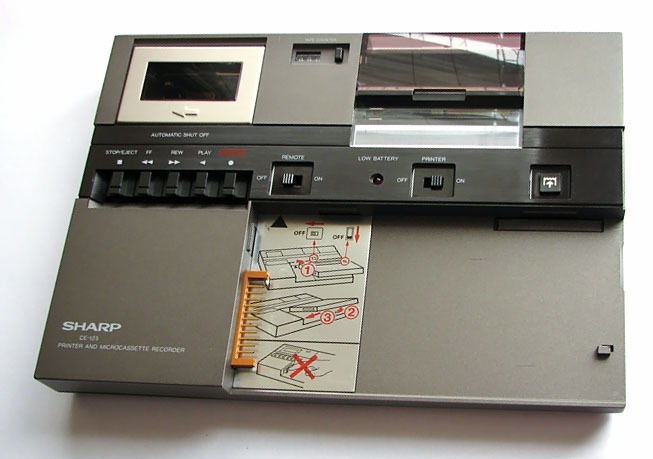 One full-size RAM card slot in back. Number pad, 8 function, Yes, No & Enter keys (run-time version of PC-1360). Same as PC-1600 but with no qwerty keyboard. Integral color printer and full-size qwerty keyboard. Run-time calculator, number pad, 8 function keys, Yes, No, Menu, Calc, & Enter keys. Run-time calculator, number pad, 5 function keys, Yes, No & Enter keys. 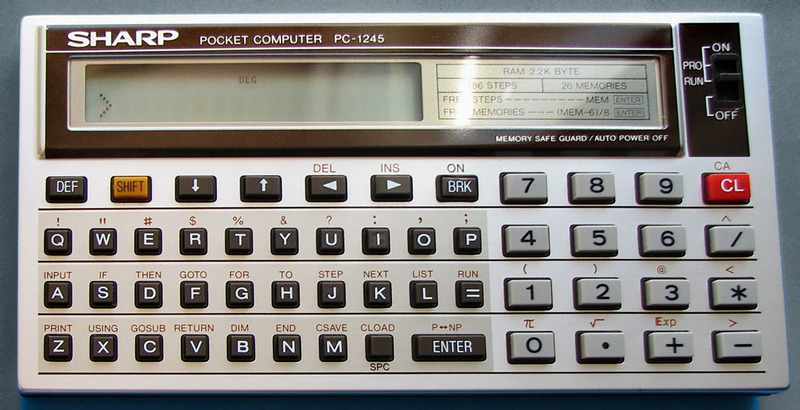 The very first pocket computers (PC-1200/PC-1201) just memorized key presses and stored the sequence in memory. See Sample PC-1201 program. Next (EL-5100) came the Algebraic Expression Reserve (AER) mode which allowed you to enter an algebraic expression and the calculator would evaluate it. The result could be stored in a memory and recalled. S'-BASIC (S-prime) was the initial BASIC. 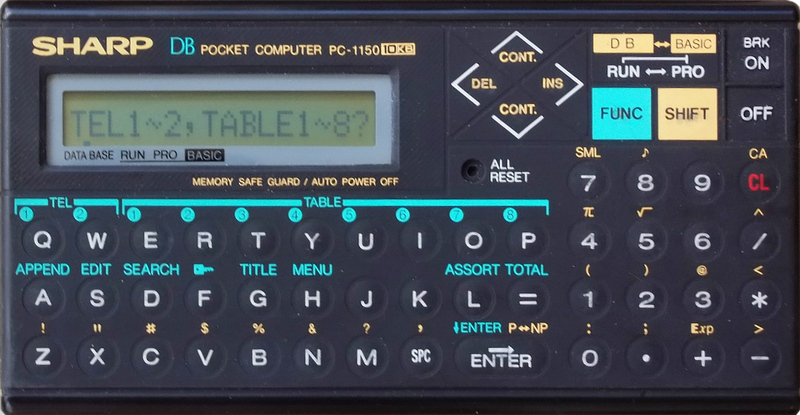 It appeared first in the PC-1210/PC-1211 pocket computers and was carried through most of the PC-12xx series. It uses a very efficient single-byte tokenizing system which contained every BASIC command, function and operator as well as the entire character set. Letters were upper-case only. There are several versions of S'-BASIC with minor variations. 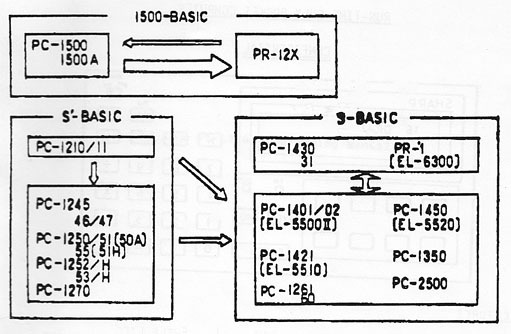 The PC-1500/PC-1600 are Z80-based machines and use a different version of BASIC. 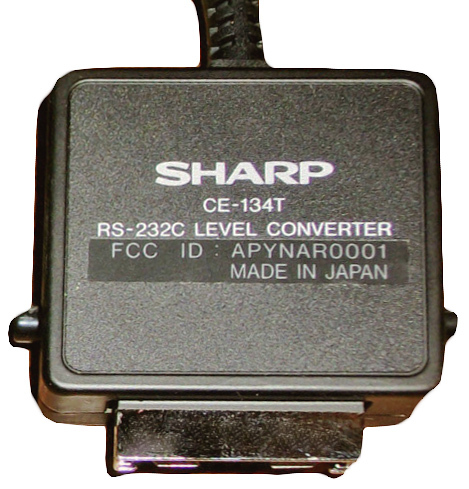 Level Converters change the 5 volt TTL logic levels to a RS-232 +/- 12v or RS-422 standard. They are used to connect the calculators to a standard ports. 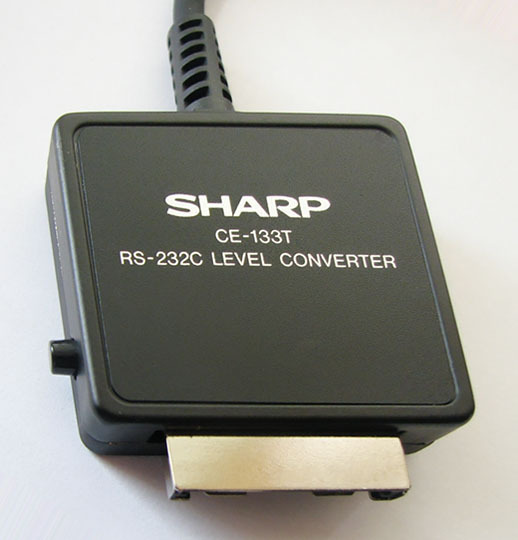 To upload a BASIC program from the PC-1360 or other calculator with a 15-pin SIO connector to a PC, you need a level converter and this Upload program. Run the program with no arguments (i.e., just type Upload.exe) to get a help screen. This is a DOS program and can be run from a DOS prompt in Win98 or earlier. It also works in a command window with Windows 2000/SP5, but has not been tested with other versions of the NT/2K/XP family. PC-1600 to PC Cable (5'). Memory cards are CMOS RAM or EPROM, and fit the indicated machines. Thermal graphics printer for PC-V550 (fits around calculator). 16 x 255 dots per row, 32 half-size chars. Paper width 58 mm. Optional modem built into printer base. 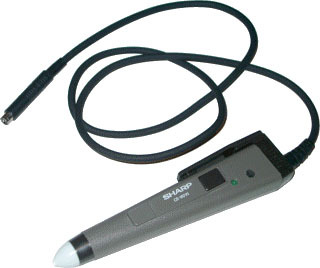 Car adapter with standard cigarette lighter connector. 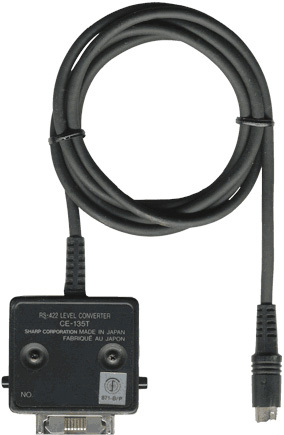 The 15-pin SIO (serial input-output) connector is a standard one Sharp that has used for some time--most of their pocket computers use this connector for serial input/output. 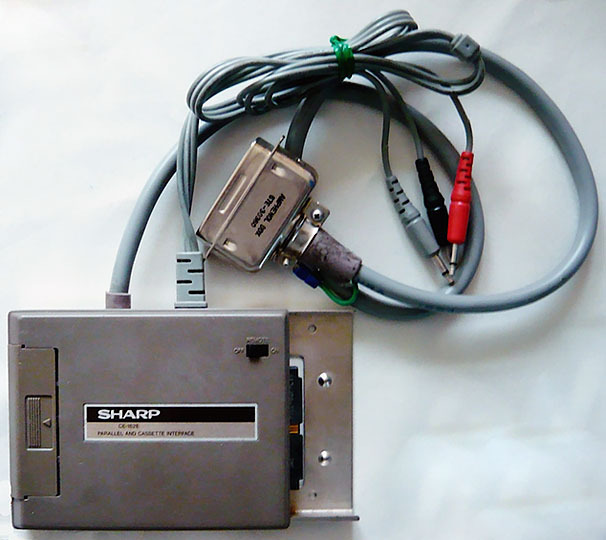 The 11-pin connector is a proprietary Sharp interface used to connect printers, cassette interfaces, and pocket floppy drives. It can also be used to transfer programs between some pocket computers with the EA-129C cable. These are the standard Amphenol connectors commonly used for RS-232 serial communications. 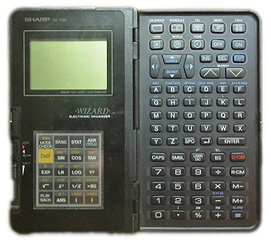 Sharp produced a number of programmable desktop calculators in the early 1970s prior to the handheld devices. These machines were programmed by hand, with some having a magnetic card system which could store programs and data. 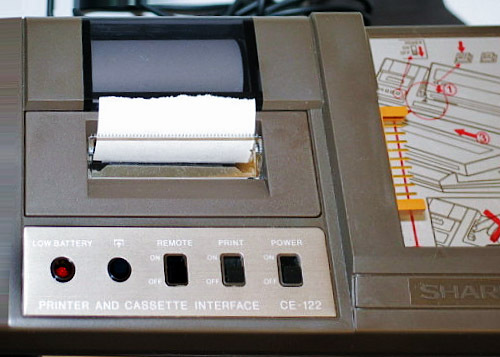 The Cartridge Calculator Series (introduced in 1975) was the first programmable product in which the program could be permanently stored on ROM chips. 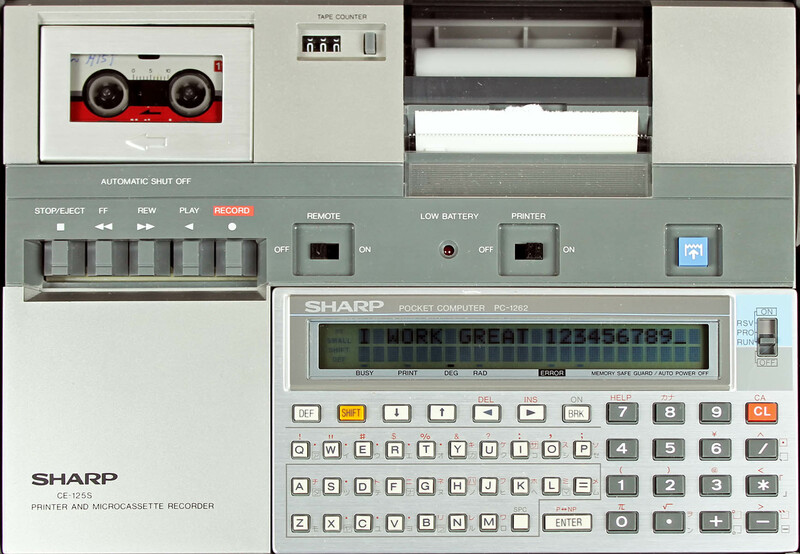 The program was written in a micro-code similar to the code used in the early desktop calculators and the first programmable handheld calculator. PC-1201 Pocket Computer. 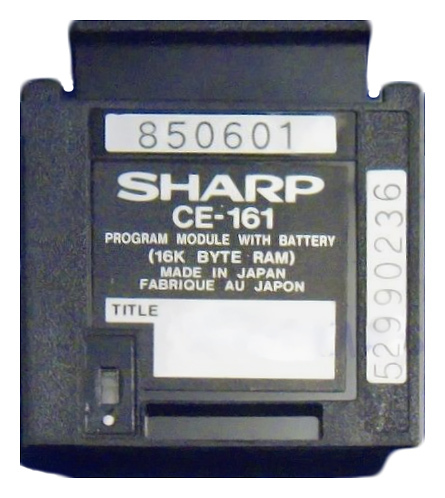 The EPROM chips were installed in an interchangeable cartridge. "RAM" (which was a series of numbered memories) was in the calculator and protected by a backup battery.